XPRIMM: Munich Re is constantly paying attention to natural disasters and their impact on the global economy, as well as to the role re/insurers must play in helping people and economies to better cope with the Nat Cat losses. What are, in your opinion, as a top reinsurer, the conclusions that should be drawn from the 2017 events? Dr. Petra REINDL & Tobias SONNDORFER: Indeed, 2017 was quite an exceptional year in terms of global economic losses from natural disasters, the overall amount accounting to ca. USD 330 billion. The last year's loss experience underlines again - and this is our first conclusion - that we still face a heavy underinsurance in respect to NatCat on a worldwide basis. Less than half of the economic loss was insured. This is even more surprising as two thirds of the loss caused by HIM affected regions where you normally assume a high insurance penetration. But even in the US, Flood insurance is scarcely available and/or bought. This means that there is a huge business potential for the insurance and reinsurance sector out there - not just in developing markets - but also in industrialized countries like the US or Western Europe. The traditional re/insurance and the capital markets showed again their strength in absorbing financial losses. That is the big asset of our industry. On the other hand even such huge losses are not sufficient anymore to have an substantial impact on reinsurance prices for NatCat risks. This underlines the abundant capacity available. The HIM events evidenced another interesting aspect. There are several cases pending where collateralized reinsurance caused a shortfall for its buyers. Due to the mechanics of such solutions the collateral needs to be locked-in in a certain timeframe after the losses subject to initial loss reserve and a so-called buffer table. In some cases, the development of actual loss payments exceeded this amount and thus caused a shortfall. To our knowledge, this is the first time that this inherent disadvantage of collateralized reinsurance has materialized on a broader scale. XPRIMM: Although hit last year by several severe weather episodes, Central and Southeastern Europe has not experienced lately extreme Nat Cat events. Yet, the region's exposure to such risks is important, while the insurance coverage is rather modest in most countries. How do you comment on the protection gap in region? What are, in your view, the solutions to narrow this gap? P.R.&T.S. : The insurance penetration - as a % of GDP - for P&C insurance in this region is significantly below the European average. Especially homeowners seem to be reluctant to buy Property or - more specifically - NatCat coverage. But this is not a phenomenon only of the CEE region. You will find an extremely low NatCat insurance penetration also in other European countries, e.g. in Italy or in Greece in the residential sector. Actually, underinsurance in respect of NatCat is a world-wide issue. The reasons are manifold; sometimes it is the pure lack of financial resources or the reliance to receive recuperation in case of damages from the government. In other cases, it is the absence of awareness about the perils or the non-availability of adequate coverages. We as Munich Re consider these white spots of NatCat insurance as a clear business potential which fits perfectly to our risk appetite. 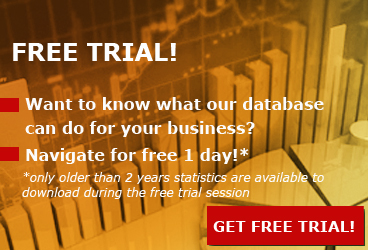 To close the protection gap, of course we offer (traditional or alternative, e.g. parametric) reinsurance capacity. We also consult our clients in modelling aspects, product development and claims handling issues. For example, Munich Re has counselled local authorities in establishing pool solutions. New technologies are especially interesting when it comes to increasing insurance penetration. Co-creation of innovative products for consumers with scarce financial resources, implementation of digital sales strategies (e.g. via telephone or internet), optimization of the insurance value-chain (e.g. sales via MGA), new business models with new players or partnerships with start-ups are some ways to raise awareness about NatCat perils and to sell corresponding insurance coverage. 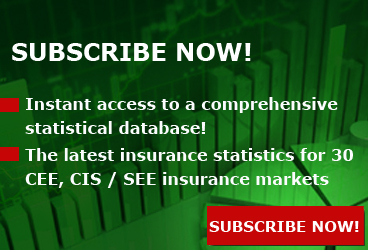 XPRIMM: Apart from the Nat Cat risks issue, how would you comment on the Central and Southeast European insurance markets? And what is MUNICH Re's strategy in the SEE/CEE? P.R.&T.S. 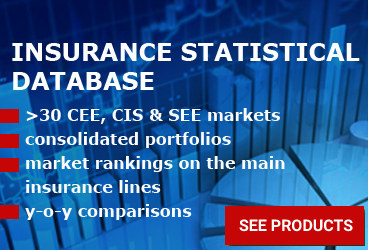 : We think that the CEE/SEE region is interesting for insurers and reinsurers for various reasons: Insurance density (per capita premium payments) in Central and Eastern Europe is considerably below the Western European level whereas growth rates of insurance markets in Central and Eastern Europe are significantly higher than those in Western Europe. So, the region has economic potential for the future. We as MUNICH Re feel dedicated to the entire region and want to grow our reinsurance business across the region. To achieve this, we constantly look for clients and partners to collaborate with. Our approach aims at creating perceived value for our clients rather than "just to be there". In general, our value proposition builds on three strategic pillars. First, we continuously strengthen our core - which is reinsurance - to be a partner in risk; we simply secure the business of our clients. Here, especially the high exposure for flood and earthquake makes this region an interesting field of business for reinsurers. The second dimension is "Financial Solutions". Here we want to provide solutions for sustainable financial stability and position reinsurance as corporate finance instrument. This can be driven by regulatory requirements or requirements from other stakeholders of insurer. In this space we have high risk appetite for sizeable, complex and tailor-made reinsurance solutions which requires in-depth market and technical expertise. The last pillar is digital venture building where we help insurance related business models to be established and grow. To do so we leverage our brand, capital, data and network with our clients. The spectrum goes basically along the entire value chain with a focus on building digital products together with clients. XPRIMM: Cyber risks have become lately an important threat to the networked economy and also a challenging business line for re/insurers. Diverse, complex and continuously changing, cyber risks are not only hard to asses in order to find the most appropriate coverage for each client but given the interconnected and globalized nature of the business world, they are also presenting a high risk of aggregation. How do you see the current status and the possible evolution in this field? Are the somewhat less digitalized and interconnected economies of the CEE being less exposed to cyber risks? P.R.&T.S. : Cyber exposure is growing fast, also in Central and Eastern Europe. Therefore, also accumulation scenarios do increase since we see more and more bottlenecks (e.g. Cloud Service Providers) and a wide and global scope of vulnerability. As the risks increase, so too does the number of companies that attach importance to effective prevention measures and that seek insurance cover. So, there will be good growth opportunities over the next few years, particularly in Europe. Are cyber risks ultimately uninsurable, as many industry representatives maintain? We at MUNICH Re think that insurers can only remain relevant for their clients if they constantly adapt their offerings to new or changed risks and requirements. Relying on collaboration with technology companies and IT security providers allow us to develop solutions for cyber risks. However, there are certainly a number of extreme risks that the insurance industry cannot bear alone, e.g. network outages that interrupt the electricity supply, or internet and telecommunication connections. The individual exposure to frequency and severity may vary, also on a national level, according to the type of industry a country has (certain industries like construction companies, NGOs, tourism/food industry, agriculture, mining and real estate may be less exposed), the complexity of companies (size, number of sites and employees, vulnerabilities etc.) and of course the level of Information Security. In this sense a country with a very sophisticated industry and a heavy exposed financial industry as backbone may be more exposed, but this is a gradual difference. XPRIMM: Although still small in business size compared to classic insurers, InsurTech companies seem to be a step in the future of the insurance industry, already embraced by some of the most relevant classical insurers which have started investing in this area of the insurance innovation. How do you see the future development of the InsurTech landscape? P.R.&T.S. : We believe that the InsurTech landscape has bright future and that Innovative players are going to play a wider role in the future: the insurance industry still faces big challenges - low interest rates, emerging risks, competition from newcomers, lack of transparency... and needs to adapt. It has shown a great willingness to do so in the last years, and there are already promising initiatives which prove that Insurance and Innovation go along very well: from improving the client experience using technology enhanced solutions to insuring new risks which were considered uninsurable a few years ago - e.g. cyber or addressing population which were out of scope of the insurance landscape - e.g. microinsurance or insurance in remote areas. Now comes the time where the players of these ecosystems - insurance companies, investors, start-ups, distributors - will have to work together closely and keep in mind that the ultimate goal will always be to better serve the customers. This is a trend that we, at Munich Re, are supporting by creating strong partnerships with major players of the innovation world and trying to make the ecosystems benefit from our experience and expertise. XPRIMM: Regulation is a very strong feature shaping the insurance industry's appetite for innovation. In your view, is regulation, at this moment, hindering technological innovation in the industry? What about the future? Will be regulatory bodies able to cope with the high pace of the technological progress? P.R.&T.S. : It is true that regulation is a hurdle to innovation initiatives and has made it rather unattractive for external players like Amazon or the like to enter our industry. We, however, wouldn't bet on the fact that it is going to stay unchanged for long: start-ups are already working on machine learning algorithms to better cope with regulations! Furthermore, regulation can also be a good incentive for innovation: think of the GDPR and the pressure on enterprises to better protect themselves against data breaches. This creates a need for innovative insurance. Finally, as regulatory bodies also see new technologies as a way for customers to be better informed and better protected, they are already integrating new competences - data scientists, cyber experts - to be able to cope with new challenges brought by the insurance industry. We think that they prefer dealing with insurance companies than with Amazon or companies where control is more difficult to implement. XPRIMM: Effects of the Solvency II regulation, already in force in the last two years, as well as the upcoming implementation of IFRS 9 and IFRS 17 are determining changes of development strategy for many market players. What are your expectations in this regard for the near future? P.R.&T.S. : Overall, we expect that Solvency II and the upcoming changes in IFRS will drive further consolidation in the region. 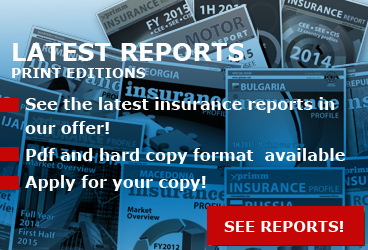 In many countries, there are small to mid-size insurers that belong to international groups. These groups wanted to participate in the expected growth in the CEE/SEE region. Although that growth arrived, some of those group subsidiaries never reached a significant market share, leaving them at a suboptimal size to earn their fixed costs. Now the introduction of IFRS 9 and IFRS 17 will further increase their fixed cost basis. This will add to the pressure for some groups to rethink their strategy and look at each subsidiary. Recent transactions have shown what to expect in the future. Some groups have decided to sell, while others act as consolidators to reach a critical mass. Besides that, Solvency II acts as a magnifier for local players and whether their business models are sustainable. Supervisors spot unsustainable business models quicker and can take counter measures. So, both will in our perspective lead to a higher concentration in many markets in the coming years.